Now that you had a chance to watch The Oscars, dreamt it could have been you on the stage, it could have been you getting the nominations if only you had, you did, you did not listen to, you had more gut, blah, blah, blah, blah, let’s resume life on earth – not in the cloud – as you, me and everybody else experience it every day. Before The Oscars had erased your memory last night – albeit temporarily – there was a topic that was doing the round last week – The Rudy Giuliani’s comment regarding Obama’s love for the country – which deserves a bit of sanity analysis. Never mind that facts check already proved Giuliani got the Pinocchio lying score, that’s not what’s of interest here. You are probably not fit to read through; take the opportunity to exit now. Thank you. Comments made by Giuliani (or any politician for that matter) should be the least of our worries; most unfortunately however, the media wastes a lot of ink, a lot of air time on superfluous matters – such as those types of comments – which add no value whatsoever in the discussions on socio-economic issues which matter a great deal to you, to me, to everyone and most importantly to future generations. Off the cuff comments such as those made by Rudy Giuliani are exclusively self-serving; there is no other way to look at it. The 2016 presidential race has already begun, although no one has yet to officially declare his/her desire to run for the higher office in the land. It is without doubt Giuliani is not and cannot be one of those who aspire to the White House. His comments are meant to attract attention, to bring the spotlight on himself; Mr. Giuliani hopes to keep his name on the forefront so that candidates who vie for the Oval Office could remember him when cabinet members for the new administration are being selected, assuming a Republican wins the 2016 race of course. So, Giuliani did not make a mistake; by his own admission, before he even made the comment, he reasoned that it is a horrible thing to say. So, why did he let the comment out anyway? Mr. Giuliani knew ahead of time that would serve his ego well. 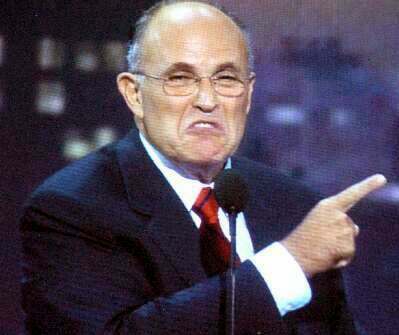 Let us assume for a moment that Mr. Giuliani is right to say that President Obama doesn’t love the country, an egregious assumption to make about anyone of course; let’s also assume for a moment it’s true, what good would it have served anyway? If you wear Mr. Giuliani’s shoes for a moment, what would you be looking for? What would you hope to happen after making those comments? Even in the extreme circumstance where it would be true that Obama doesn’t love the country, there would be nothing Giuliani or anybody else could do to remedy that situation. Love (or lack thereof) is not an impeachable offense. It is highly unlikely Mr. Giuliani even believes what he says; so, why did he say it? If you guess self-serving, you would be 100% correct. Since Mr. Obama took oath of office, both in words and actions, he has proven beyond any doubt his love for the country. Contrary to most of his predecessors who “threw our servicemen in harm’s way” most of the time without an exit strategy, Mr. Obama has languished privately and publicly over taking any executive action that requires sacrifices of our soldiers’ lives; he puts his presidency on the line to protect the country from the most notorious terrorist of decades (bin Laden); he puts his presidency on the line to implement the most controversial act in the country’s existence, the health care plan aka Obamacare; he puts his presidency on the line to protect those who immigrated into the country looking for a better life; he puts his presidency on the line to craft relationship with Cuba; he puts his presidency on the line to try to reach an agreement with Iran in order to avoid putting our soldiers in harm’s way. Unless one is as self-serving as Giuliani, to question Obama’s love for the country cannot possibly be a topic for debate. You need not be a genius to see through Mr. Giuliani’s comment. He is just another self-serving attention wanting individual who is not deserving of the attention he’s gotten. For that, he deserves an Oscar, a Pinocchio Oscar. ← Do You Matter, Really?